A boldly striped inner collar and reverse coil zipper give this cover-up an edge. Of course, it also performs with Dri-FIT moisture management technology. The design features a flat knit collar and cuffs and an open hem. The contrast Swoosh design trademark is embroidered on the upper left sleeve. 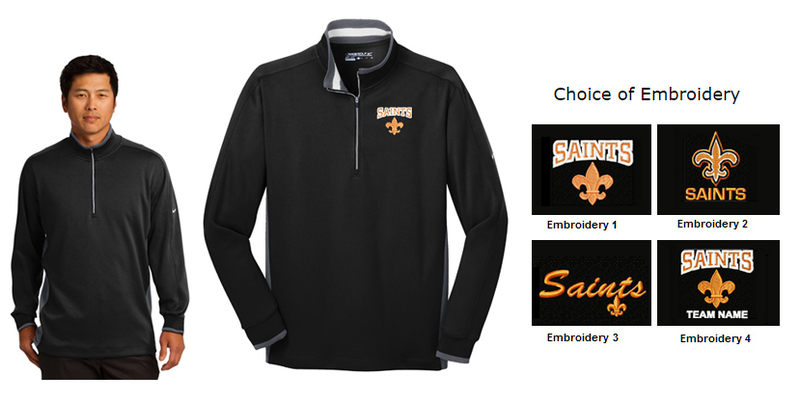 Made of 8.3-ounce, 100% Dri-FIT polyester.